About the Book: As a child, Ruthie was shunned by the local congregation. Thirteen years later, Ruthie’s heart begins to stir when an attractive single preacher arrives. But their relationship is bitterly opposed—unearthing a string of secrets which threaten to turn the church, the town, and her world upside-down. 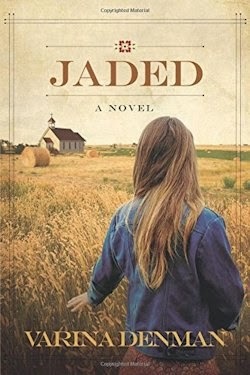 Jaded is the rare novel that is both love story between a woman and man ... and God and His church. Plunging deep into the waters of shame, forgiveness and restoration, it will resonate with every woman who’s experienced a loss of heart ... and a thirst for hope.